A 2007 study that appeared in the October edition of the American Journal of Public Health revealed that people who live in damp, moldy homes may be prone to depression. The study was hailed as a first as Brown University researchers discovered a link between regular household mold and mental health issues. There are a number of well-documented physical symptoms that are known to result from mold; people susceptible to asthma, allergies, or who have a weakened immune system are at a significant risk of becoming ill.
Of course, if you become sick from mold, being ill can obviously negatively affect your mental state, but the researchers hypothesized that there may be another reason for the depression that sometimes results: mold on the brain. Mold is a toxin, and scientists have suspected that it may impede the function of the frontal cortex which is the part of the brain responsible for regulating emotions, including impulse control, memory, problem solving, socialization, spontaneity and sexual behaviour. The lead researcher of the study felt that a little mold in the home probably won’t result in depression, but the more mold there is, the greater the possibility that it can impact emotion. Study results determined that the risk for depression went up about 40 percent among those who lived in moldy homes. Molds are ubiquitous, toxic microscopic organisms that come in a variety of species. Their spores spread through the air, water or insects and can be found outdoors as well as indoors. They survive and multiply extensively in warm, damp, shady and humid conditions. 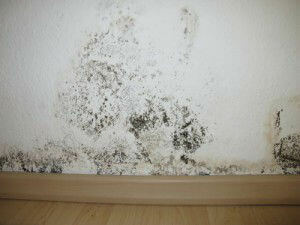 Generally, routine cleaning using natural substances like baking soda dissolved in water can help prevent mold from accumulating in susceptible areas like the shower, windows, or the seal of a refrigerator door, but serious mold problems can develop and fester with excessive or continuous water damage. Detecting a serious issue is usually made simpler due to the strong musty odor and/or sighting of discolored patches on walls or ceilings. According to the EPA, there are over 100 million Americans living with dangerous toxins like mold in their homes, continuing to risk their health every day. In addition to the possibility of developing depression, a host of other problems can occur such as eye, nose and throat irritation, dermatitis, asthma, respiratory infections, fatigue, dizziness, flu-like symptoms, headaches and more. The bottom line is that healthy homes usually promote healthy lives. This means not allowing carpets, wallpaper or ceiling tiles to get wet and stay wet for over 48 hours. Be sure that any leaks in the roofs, walls or plumbing are fixed as quickly as possible as they are all sources of mold. For serious mold problems in your home you will need to hire professionals – trying to take care of it yourself without proper respiratory protection can be very dangerous. Check for mold where you live and work – removing it may make the difference between a life of depression and a life of joy. Hey Buddy!, I found this information for you: "Are You Depressed? Mold May be the Reason". Here is the website link: https://www.thealternativedaily.com/household-mold-may-reason-depressed/. Thank you.